Great for the in between whether it be school, work, sports, or just because you need something to curb the munch attack without scaling on the red line of the nutritional chart. This recipe is way to simple to for it to be true, also the best way to the almond pulp from the leftover of making delicious almond milk yourself, recipe here. In the blender add in the dates and almonds, mix on medium-high speed until throughly mixed (about 30 seconds) but not pureed. Stop several times to scrape down the sides. Add in the blended mixture along with remainder ingredients in a bowl, mix well and then spoon the mixture into bite sized balls. Store in a airtight container to keep in the fridge and snack on whenever you feel like you need a protein pick up. I take some out for my long runs as cleaner fuel alternative. 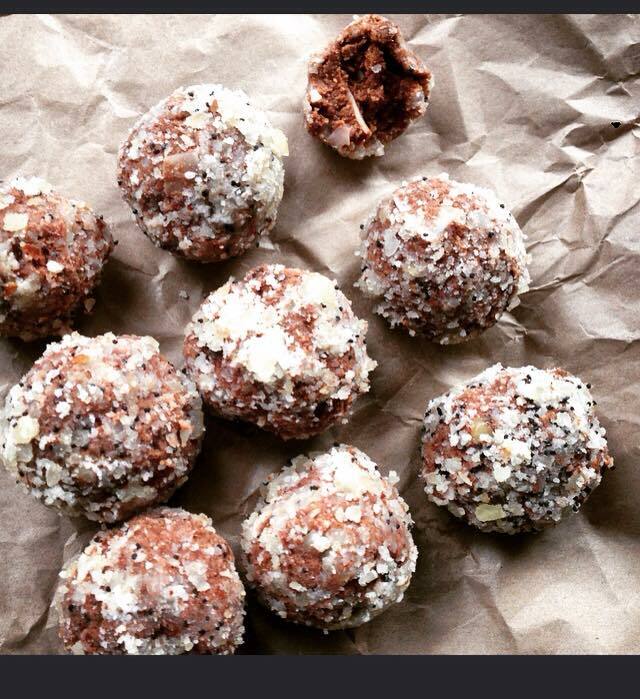 Tip: To add a little extra bite to the protein balls roll it over some chopped nuts, toasted dessicated coconut, sesame seeds, or whatever you may fancy. Have a play round with variations to see what you prefer, I used a combination of walnuts and poppy seeds for this batch.